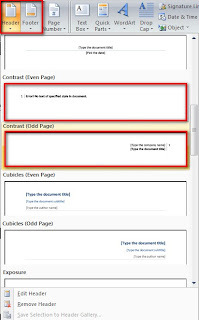 Adding Header and Footer will make your documents looks moreprofessional and fancy. I am going to tell you how to customize it,to addresswhat you need. Just bear in mind that there’s no magic on this tutorial youmust read and follow patiently. Note: In this tutorial I am using MS Word 2007. Just explorefor your older version. 1. First, open you MS Word File. 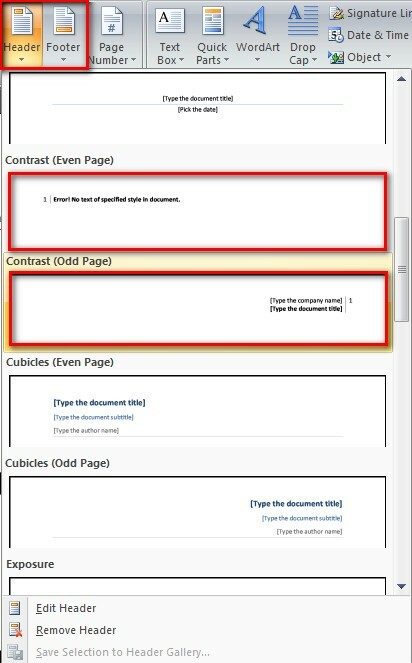 4.Before selecting one of those lay-outs, let meexplain why there is an odd and even pages. Just a simple review in your math,there is an odd and even numbers likewise with your word pages example:1,3,5,7,9,11,13 are examples of OddPage Number while 2,4,6,8,10,12,14 are examples of Even PageNumber. 8.Since our concern here is to disable the appearance of the header in footer from the 2nd to the last page we will insert even pages of Header and Footer. 1. 10. Press enter until another page will show up to 5or more. You will see that only the first page has the Header and Footer. Thesecond to the last has no Header and Footer. Note: If you add the first header andfooter to the even page numbers all even page numbers will be affected andlikewise with odd pages.